May 19, 2011 (Part I, Part II) – Due to technical difficulties, Part II is audio only. April 26, 2011 – audio only. April 12, 2011 – audio only. 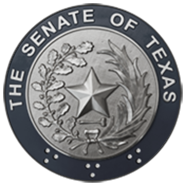 Study the policies and actions the State can pursue to preserve state authority and protect Texas citizens from federal overreach in the form of conditional federal grants, conditional federal preemption, and excessive legislation and regulation interfering with states' enumerated powers by Congress. the return-to-work numbers and results for injured employees in the Workers' Compensation System that are referred to the Department of Assistive and Rehabilitative Services. Study and make recommendations on statutory provisions and judicial decisions relating to the statute of limitations on a cause of action relating to consumer debt. Examine establishing a workforce retention program or deferred retirement option plan (DROP) for Texas Department of Public Safety commissioned peace officers and whether any plan can be built with actuarially sustainable factors while meeting the needs of officers. Examine the feasibility of implementing Health Reimbursement Accounts and Medicare exchanges for Medicare eligible participants currently covered by and receiving health coverage through the Employees Retirement System, the Teachers Retirement System, the University of Texas, and Texas A&M University. Identify any cost savings to the state and to retirees that would occur under such a plan. Consider the costs and benefits of the creation of liability protection for private companies and individuals when commissioned by the Texas Forest Service to assist in fighting a fire that is not on the company's or individual's own land. Examine whether state policy should prohibit an employer from terminating an employee who is a volunteer firefighter on the grounds that the employee missed work because the employee was responding to an emergency. Identify any appropriate limitations that should apply to such a policy. Examine the effectiveness of the Private Real Property Rights Preservation Act (Chapter 2007, Government Code), and whether it should apply to municipalities.